If hearing about how expensive Iceland is has already left you feeling blue without even stepping into the cold climate, this post is for you. There’s no denying the land of fire and ice can burn a hole in your wallet, but there are plenty of things you can do to minimise spending and save money before and during your visit to Iceland. In this post, I will be sharing my top tips for budgeting and saving money visiting Iceland. If you’re a savvy traveller, you would have already bagged yourself some low-cost flights to visit Iceland. If you’re flying long-haul, you may have even got two trips for the price of one with a free stopover in Iceland flying transatlantic with Icelandair or Wow Air. Similarly to finding cheap flights ahead of schedule, there are many other things you can do to save money on an upcoming trip to Iceland. Eating out in Iceland is expensive! As someone who loves nothing more than dining out in destinations, the high-prices in Iceland meant that I wanted Adam and I to save our pennies for exploring instead (we were going to Italy a couple of days later anyway.) In fact, during our time in Iceland we only bought food out twice. Once on our arrival to Reykjavík, two cones of chips with a sauce (no drink) for £15 and at the airport on our way back we purchased a meal deal each (x2 sandwich, crisps, drink), which cost us almost £20! 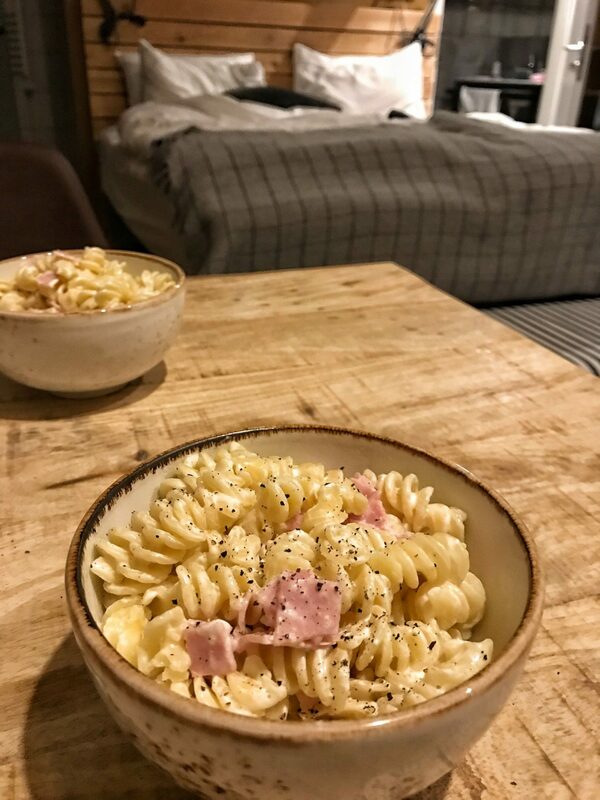 For this reason, many travellers choose Airbnb accommodation in Iceland with kitchen facilities to cook their own meals and save on dining costs. 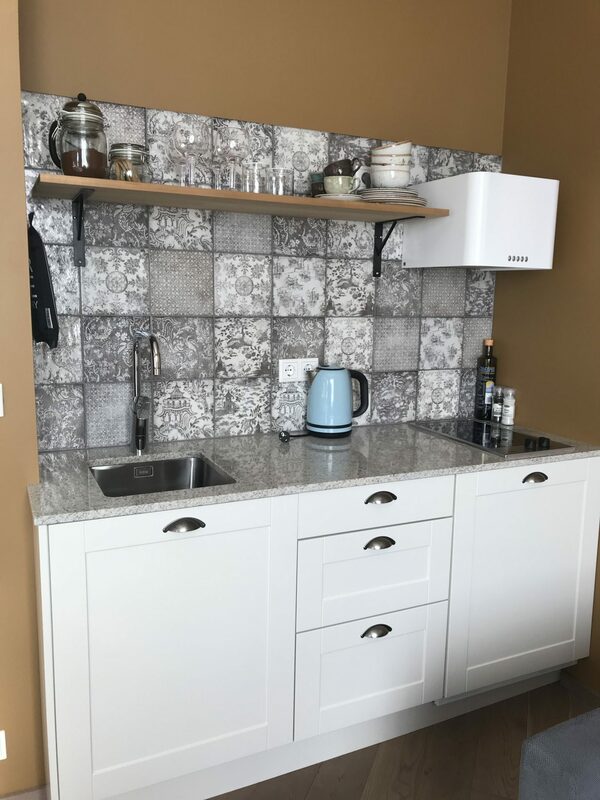 Our apartment at The Swan House, located in the heart of Reykjavík, came with a kitchenette so was perfect for keeping our costs down. Our kitchenette enabled us to prepare and cook all our meals and food we needed on-the-go from the comfort of our room. It certainly meant we were not paying extortionate restaurant costs during our time in Iceland. 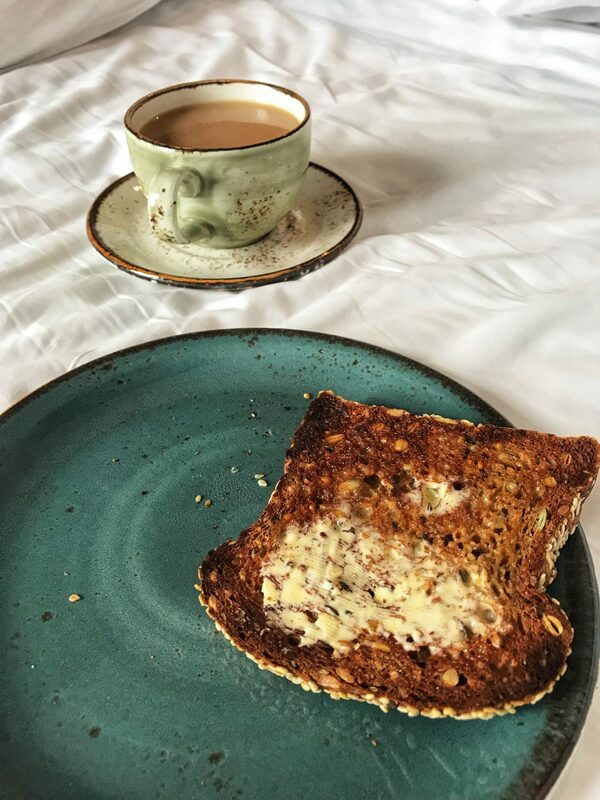 Booking a room with kitchen facilities really gives you that home-away-from-home experience, as well as saves money and, we loved having a kettle and toaster on the go as we would at home. 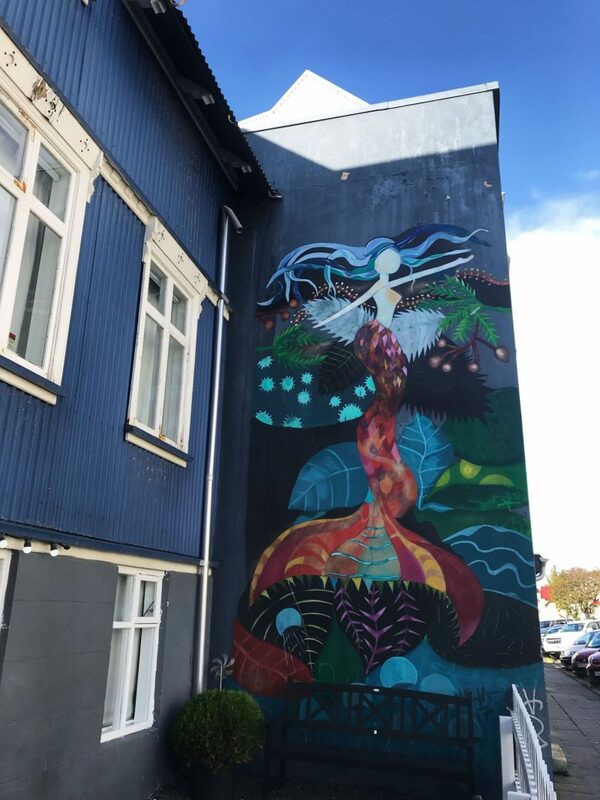 You can read my review of our stay at The Swan House Apartments Reykjavik by clicking here. Booking your car hire in advance will save you a considerable amount of money when visiting Iceland. This is mostly true in all countries you visit, but ensuring you book your car well in advance could save your pennies for your trip (you are going to need them!) We booked through Átak Car Rental and had our VW Up for four days for £120. The price of the rental also includes a free additional driver, wifi and GPS. Handy additional extras and the WiFi was a godsend in areas with poor phone signal and saved my data. Hiring a car not only enables you to go at your own pace and see the things you want to see on your trip,it also saves a huge amount of money on tours to see the Golden Circle Route, which is easily accessible and driveable for tourists, particularly during the milder months. 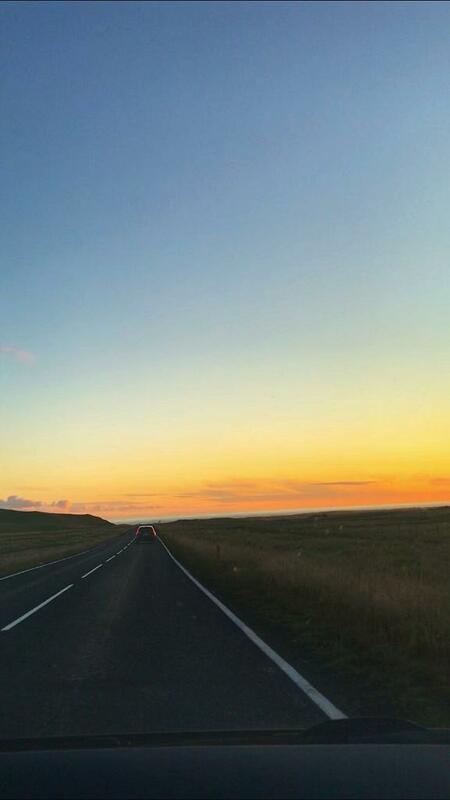 You can more read about driving in Southern Iceland by clicking here. Bringing your shopping essentials with you can help keep your costs down when you visit Iceland and also leave you with more time to explore the natural wonders when you are there. 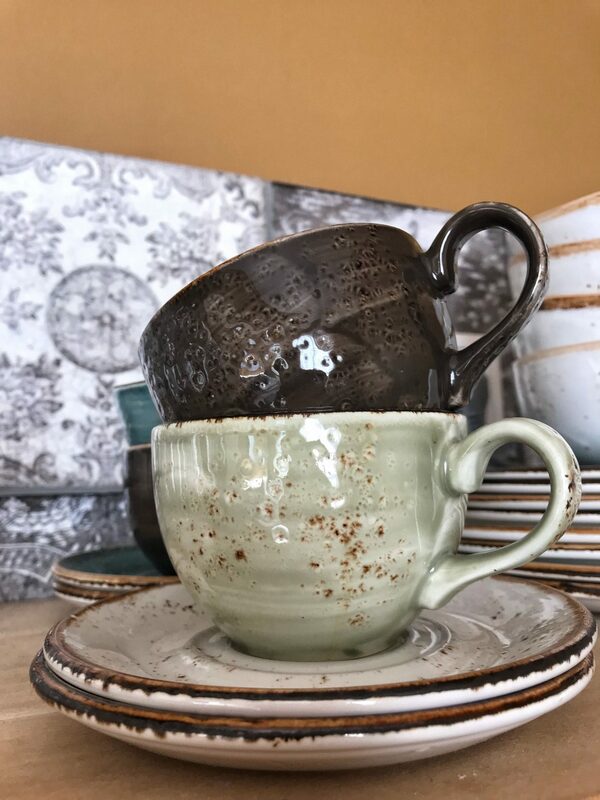 It is perfectly fine to pack tea, coffee and other condiments with you as long as they meet your airline’s requirements. So whatever you need, cuppa soups, chocolates, crisps etc may all be items you want to consider packing to bring along with you. You may even find checking in a bag for your flight may be a better option to ensure you have your essentials to save you money during your trip. That said, we only took hand luggage with us on our trip to Iceland and we got along fine. There are hand luggage cases to make travelling that much easier, such as The Travel Hack Pro Cabin Case designed by Travel Blogging Extraordinaire Monica Stott. This clever little case has a handy top zip section, which you can store your handbag in and other essentials. A lifesaver if you’re anything like me and try and hide your extra bags under your coat before a flight! It even has a pocket to carry a water bottle, which brings me on to my next point. The cost to buy a bottle of water in Iceland is around £4, this can add up on your trip to Iceland and buying bottled water can easily become an unnecessary purchase. 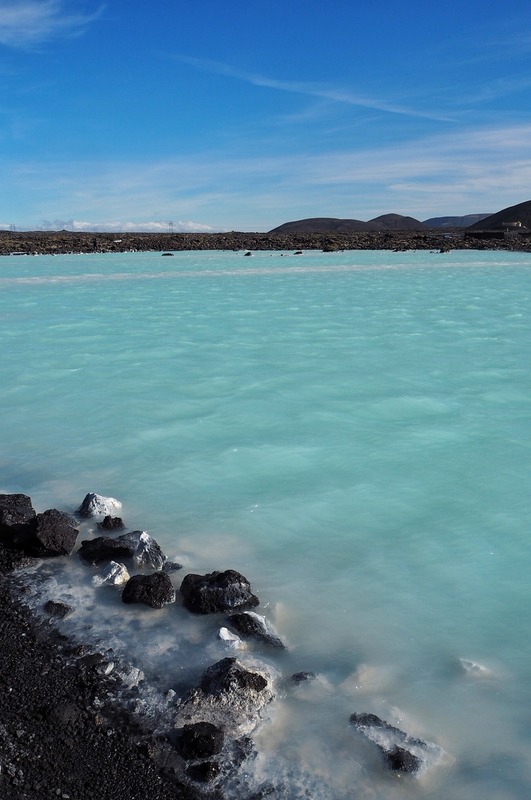 Icelandic water is one of the cleanest you will come across, it is said to even be better than bottled water. I can verify it tastes amazing! By bringing a metal refillable bottle, you can make the most of the free clean water fountains and natural springs dotted around Iceland. I purchased these thermal drinking bottles from Amazon and they kept our water cold all day. Alternatively, the bottle also keeps hot drinks such as tea and coffee hot too! Ideal purchases for road-tripping around Iceland. There is even a water fountain under one of the bridges in the Blue Lagoon so you can stay hydrated while you soak and save money on drinks in the lagoon…win win! Once you land and go through passport control you will see a duty free shop. Whilst airport shopping can sometimes be more expensive than shopping in the destination you are visiting, this is not the case in Iceland. Hitting the duty free shop to buy alcohol will save you money buying alcohol in bars and restaurants. At around £12 for a glass of wine, you will thank me later! When it comes to food shopping, both tourists and Icelanders will tell you to shop in Bonus stores. Bonus stores are the cheapest option when it comes to food shopping in Iceland and you can buy a variety of items, such as bread, milk, cheese, pasta etc. The layout of the store is similar to Lidl and you can find your nearest Bonus Store in Iceland by clicking here. When I think of hotdogs, I think of places like The United States where you will see an array of hot dog stands that come with their signature yellow mustard. But, Icelanders love hot dogs and so should you if you’re visiting. Whereas a sandwich will cost you in the region of £15, street vendors selling hot dog only charge approximately £3.50. Head to the hot dog stand next to Hallgrimskirkja Church in Reykjavik. Many popular cities offer free walking tours and Reykjavík, Iceland’s capital is no exception. Walking tours enable you to familiarise yourself with your surroundings and are often packed full of useful tips from a local guide. 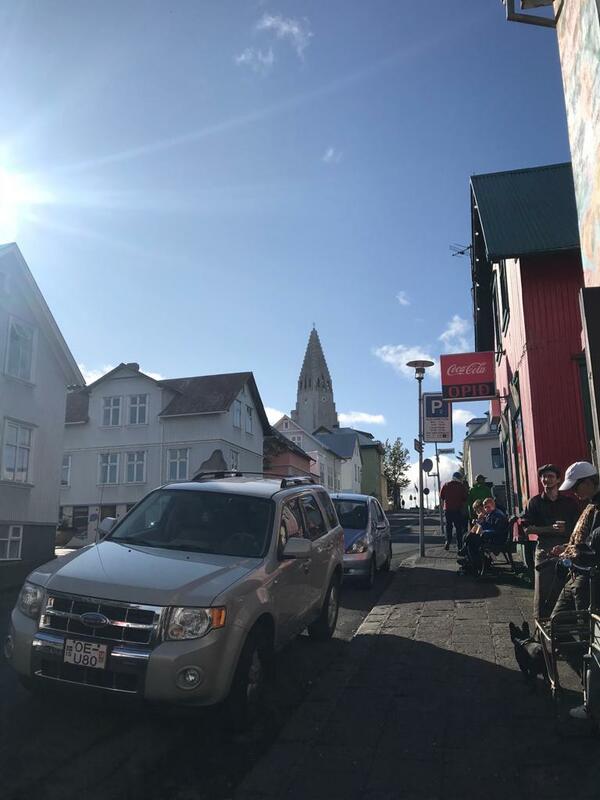 For free walking tours in Reykjavík, CityWalk comes up trumps on both TripAdvisor and on Visit Reykjavík. 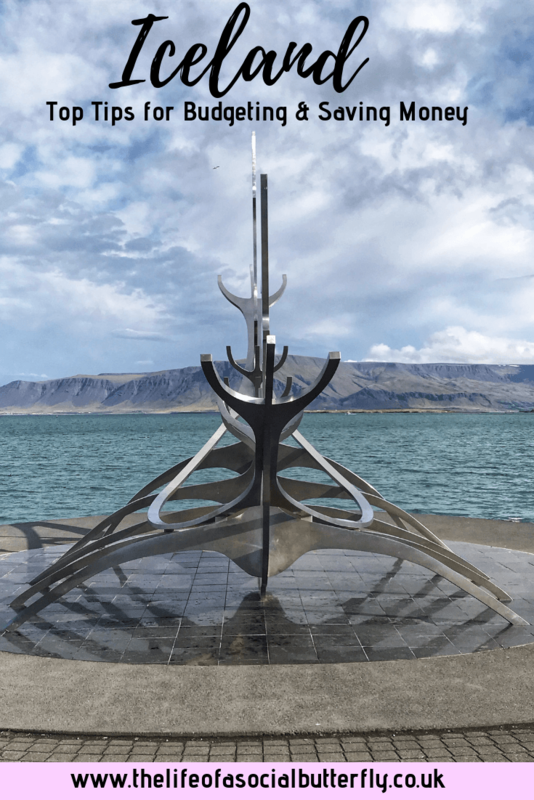 The Golden Circle Route, Northern Lights and waterfalls are often top of the list when it comes to things to see when visiting Iceland, but don’t let this stop you from visiting the capital Reykjavík. 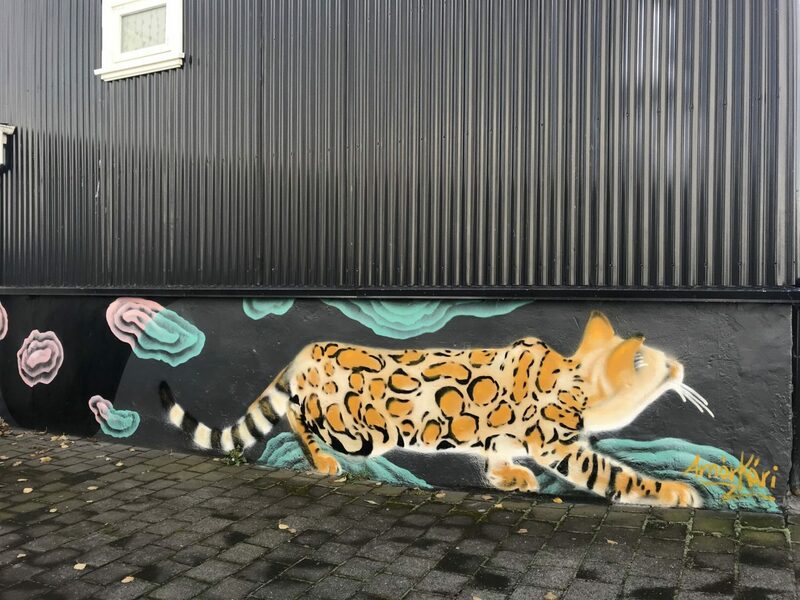 Reykjavík is an interesting city with bright and quirky street art and artefacts dotted around. 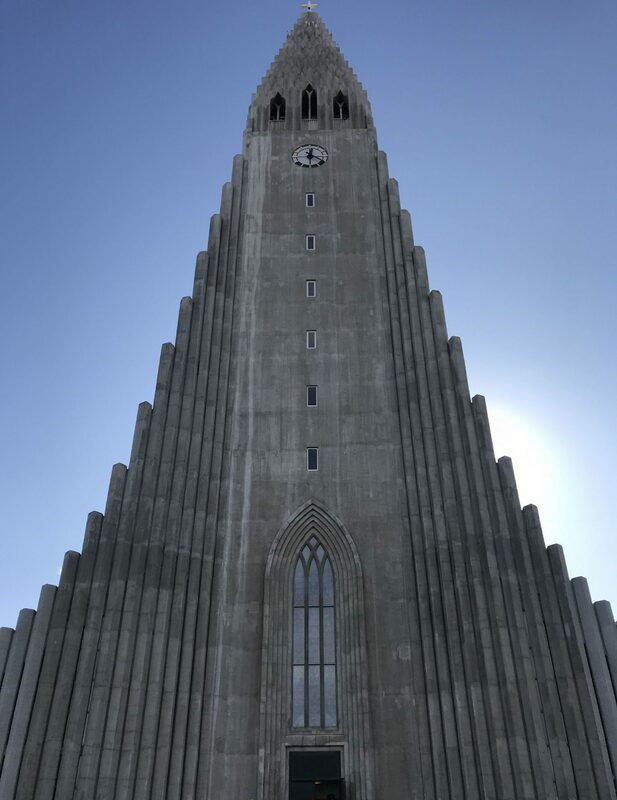 Must sees are the Hallgrimskirkja Church, Sun Voyager Statue and Harpa Concert Hall. All have the benefit of being free to visit. Though, note additional payments are required to visit the top of the church tower for example. 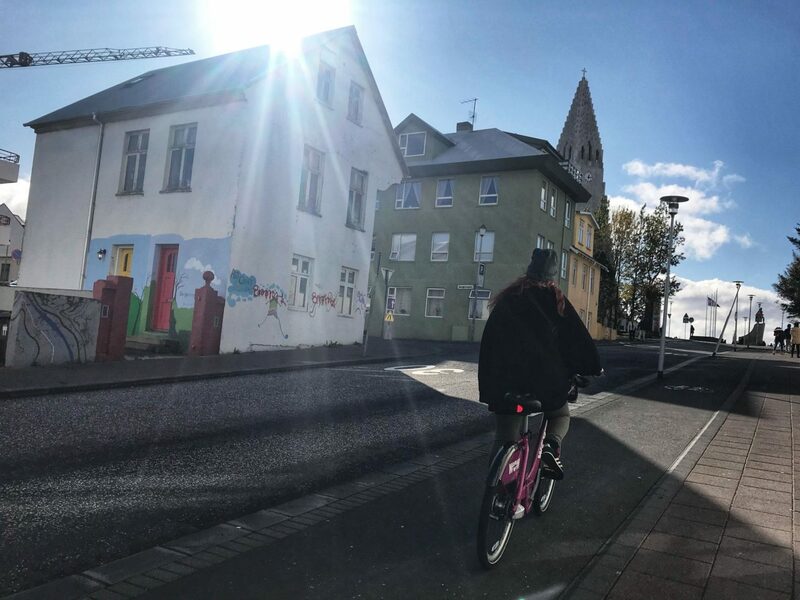 Take advantage of free public parking on Sundays and make that your day to explore Reykjavík. Personally, I could have spent an entire day in the Blue Lagoon so in light of this, I found the price fair. Yes, it’s a busy tourist location but the Lagoon is huge and if you move around you have plenty of space to enjoy some relaxation. Personally, we enjoyed visiting both. Plus, The Blue Lagoon is located within 15 minutes drive of Keflavik airport so it is the ideal place to stop on arrival or on the day you are flying home from Iceland. 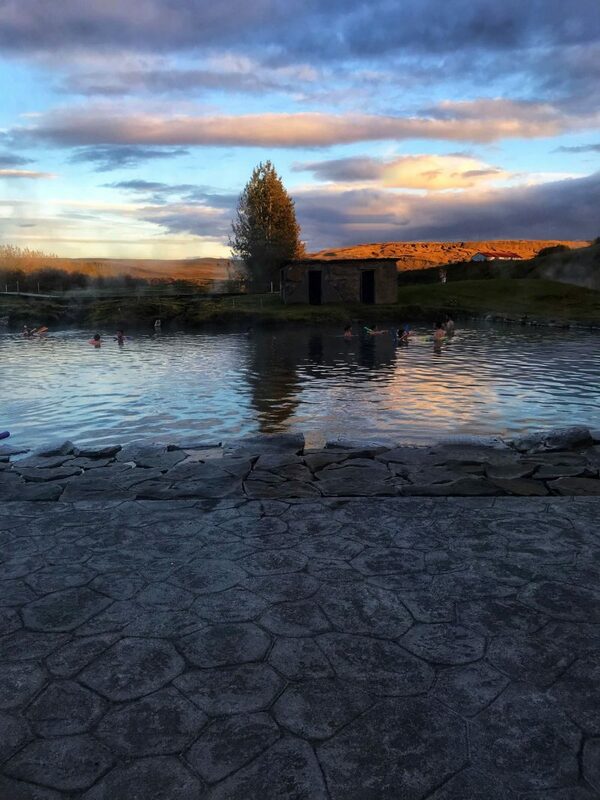 If you still begrudge paying for The Blue Lagoon and The Secret Lagoon, why not find one of the many natural thermal springs in Iceland and have a soak in one of them instead? Hotel – I was working with The Swan House as part of a press trip. In light of this, we had two nights free accommodation and we paid for an additional night (so that I could spend my birthday in Iceland) at the press rate price of £210. So there you have it, a full guide of how to save money before and during your visit to Iceland. I hope you found my top tips for budgeting & saving money visiting Iceland post useful. If you did, I would be so grateful if you left me a comment below and shared these tips with others on social media using the sharing buttons on the left-hand side or below. It’s great getting feedback and every share helps my little blog be seen by a wider audience. Thanks for reading & enjoy your time in Iceland! Pin to your Iceland Travel Board! Great tips! I’d love to visit Iceland and your pics are gorgeous ! Thanks so much 🙂 Iceland is stunning in Autumn and there was so much to snap!